Shopify Easy Money Method 2019! Today I would like to write about a method you can use to make money in 2019 with Shopify. With this Shopify method you can make money today, tomorrow and next year onward. With Affiliate Marketing you might make a few bucks now and then. However with this method you will be setting up your own business that will always grow and you can upscale it anyway you want. The size and success of this business will depend on how much time and effort you put into it. You can also use this method to replace you’re your 9 to 5 job like what several persons have done. This method called Drop-Shipping has been around for a while but has begun to explode in recent times but with this method there is a little twist. 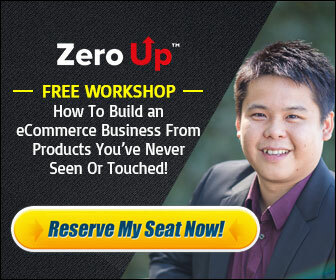 This method is called the Shopify and Facebook Method. What you will be doing is to get products from overseas on your own Website on Facebook using a shopping platform called Shopify. The good thing is that you will not touch the physical products but you just have to promote your website through Facebook Ads and all the orders and shipping is taken care for you. CLICK HERE TO DOWNLOAD A FREE E-BOOK EXPLAINING THE DETAILS OF THIS METHOD. 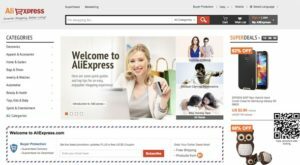 The first thing you need to do is to open an account at Aliexpress.com. This will be the hub where all the commerce (e.g. order and shipping) takes place. Secondly you need to open a Shopify Account . It is Free for 14 days therefore you can try it out and see if it works for you. Thirdly you need a Facebook Advertising Account on Facebook.com. After signing up on Aliexpress.com you will need to find a niche or category of products to target. Popular niches right now are like Hobbies, Pet supplies and toys, Travel and women’s clothing. However anything you choose should be below US$4 for this method to work. Thus products costing between $1 and $4 should be okay for this method. Once you have selected your niche or products you can then proceed to set up your Website store after you have signed up for your Shopify Account. You won’t have to set up anything too fancy as yet, just a basic store will do for now. What I did when I tested this method was to start with 4 products in my store. Then has I grew more confident I then began to expand my store. You can then give your store a “catchy” name or any name you want. Once you set up your Shopify Store you then need to go to your Facebook Ad Account to set up your conversion pixel on your thank you page on Shopify. This step is very important as you want to get paid for each ad every conversion from your Shopify Store. DOWNLOAD THE FREE E-BOOK HERE TO GET DETAILED INSTRUCTIONS ON HOW TO DO THIS. To make this method successful it is very important to vary your Ads on Facebook if you want to make some good money like I have done. Just don’t set up 1 ad and promote it for the year. You need to make variations of your ad (like 3 or 4) and test run them for a few days. You can then cut the ones that are not converting and upscale the ones that are making money. To recap this method, what you need to do is to find products on Aliexpress.com, put them on your Shopify Store and advertise your store through Facebook Ads. You can then cut the ads that are losers and upscale the ones that are winners. Do not underestimate the power of this method as I have personally made up to $500 daily just testing this method and I have not upscale it as yet. 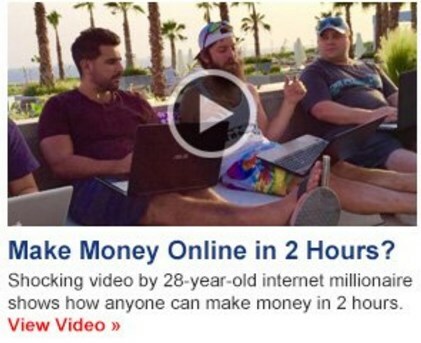 I have friends who are making up to $1000 daily doing this method part time. With this method you will not make millions overnight but it is very sustainable business that you can set up to earn a residual income for 2019 and beyond.